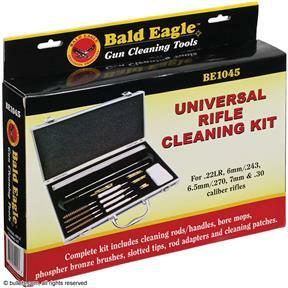 Anyone with a variety of rifle calibers will value this handy cleaning kit. Cleaning tools are sized to fit .22LR, .243, .270 and .30 caliber barrels. 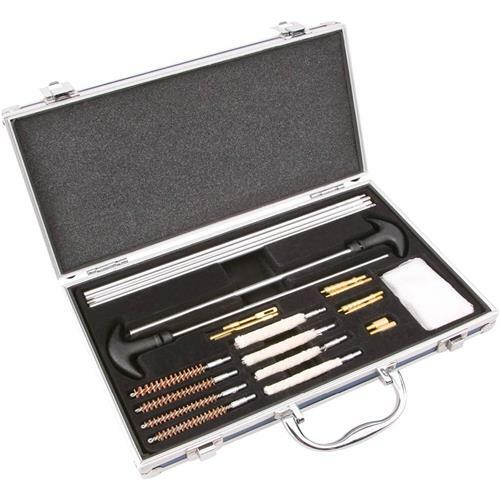 Includes phosphor bronze brushes, mops, rods/handles, slotted tips, brass jags and cleaning patches.